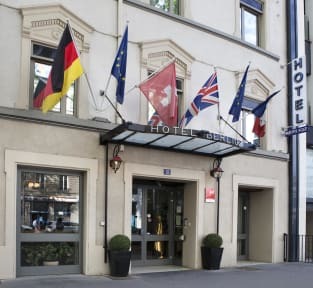 Hotel Berlioz, Lyon, Francja : Rezerwuj teraz! We will be happy to welcome you to our comfortable and friendly three-star hotel. We have a lovely breakfast room where you can enjoy the view of the garden. All rooms -sound-proof- are well furnished and have all the facilities that you would expect of a modern hotel. The Hotel Berlioz has 43 rooms on 5 floors. 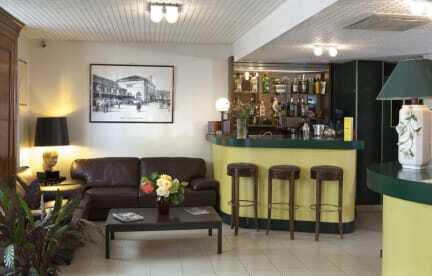 It is 50 meters from the train station Perrache (bus, taxi, subway, tramway, bus for airport). We are known for our clean rooms and the quality of our welcome. Please noted, in case of no show or late cancellation (48 hours) will be charged. Please noted we will charged 1 st night after your booking. Please Note: Breakfast is not included in the price, it is available for Euro 9 per person.